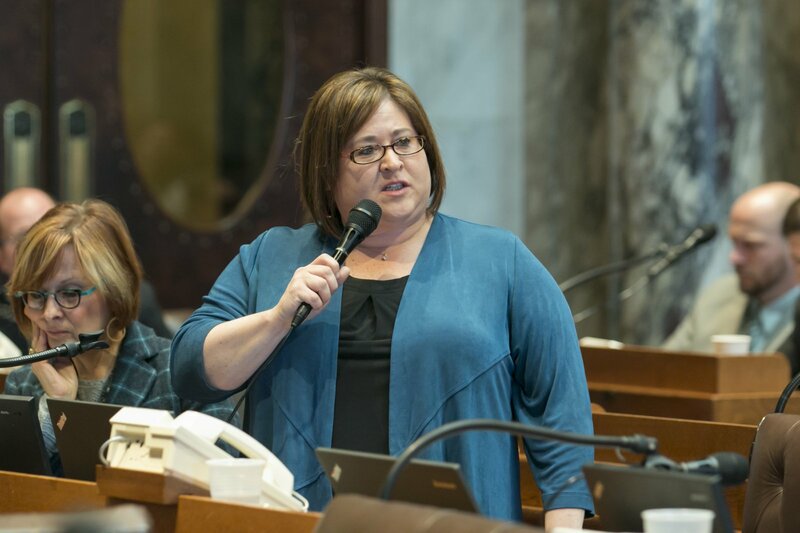 MADISON- Today, Representatives Lisa Subeck (D-Madison) and Joan Ballweg (R-Markesan), and Senator LaTonya Johnson (D-Milwaukee) highlighted the proposed Healthy Babies, Working Mothers Act (AB 193/SB 147) in honor of National Child Health Day. The proposed Healthy Babies, Working Mothers Act would protect the ability of new mothers to breastfeed by ensuring they have the accommodations they need for pumping breast milk when they return to work. National Child Health Day is an annual observance, currently held on the first Monday of October, established by Presidential Proclamation by every United States President since 1928. This is a day to recognize all of the ways children grow healthy and strong and that each child deserves to be the healthiest she or he can be. The Healthy Babies, Working Mothers Act would bring Wisconsin law in line with federal employment regulations regarding breastfeeding and ensure that women who take unpaid break time to breastfeed or express breast milk do not lose eligibility for employer sponsored health insurance. The Healthy Babies, Working Mothers Act is supported by the American Congress of Obstetricians and Gynecologists – WI Section, National Association of Social Workers – Wisconsin Chapter, Planned Parenthood of Wisconsin, Wisconsin Alliance for Women’s Health, Wisconsin Catholic Conference, Wisconsin Association of Lactation Consultants, Wisconsin Breastfeeding Coalition, African American Breastfeeding Network and La Leche League. Earlier this year the bill authors released a video promoting the proposed Healthy Babies, Working Mothers Act that features Wisconsin women sharing their stories of returning to work while breastfeeding.